Agreed. It seems to have become a bit like Second Life. More about socializing in an aging playerbase. wow is ok, at best. same as Rift. same boring thing over and over. I cant believe teenagers still play ANY versions of WoW in 2016 or 2017. You still on this? People who like retail WoW haven't got a clue about Vanilla. I quit pre BTC patch, even though most people like those early expansions they already made sh*t easy right there (pvp ranks and PVP gear), never came back. Until today! Haven't got much time any more though, looking for some raiding obviously but also just social and hopefully no drama. Completed MC, AQ, ZG and BWL (and ofcourse onyxia..) many times in my day (except BWL completed that just once) so can handle it. RE: pvp gear pre BTC patch they changed how you could gain the PVP gear sets and suddenly everyone was wearing pvp gear I quit that day, I grinded like mad before for it. 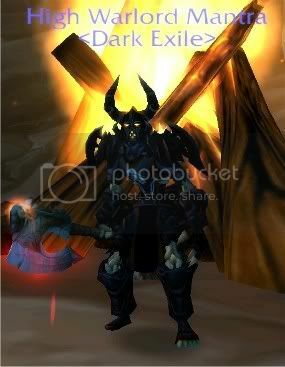 As far as I know nothing changed on Elysium, I hope I don't get ripped off and they continue as a progression server. I am interested in vanilla only.